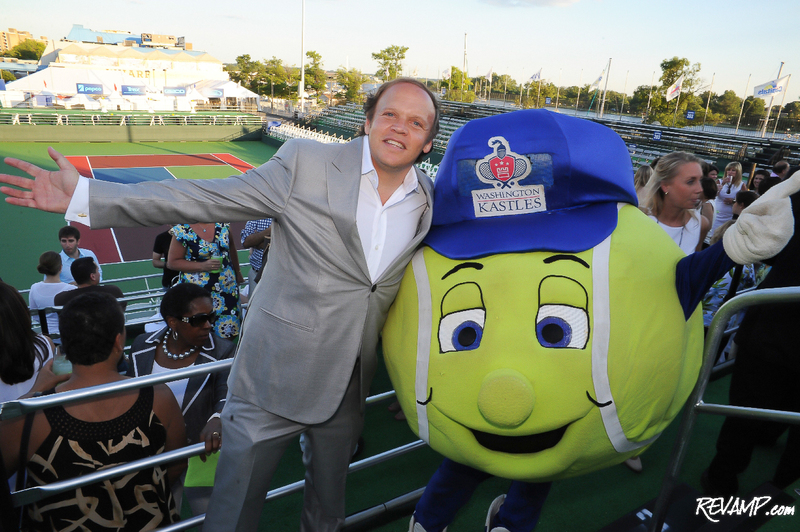 Washington Kastles owner Mark Ein and team mascot 'Topspin' welcome you to Kastles Stadium at The Wharf! Be sure to check out all 61 of our photographs from this event HERE! 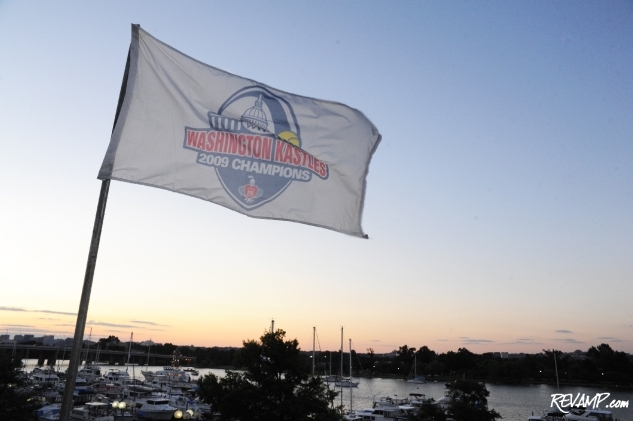 SOUTHWEST -- With a beautiful sunset in the background and a summertime breeze gently blowing off the banks of the Potomac, Washington Kastles owner Mark Ein happily welcomed guests to the tennis team�s new waterfront home on Wednesday evening, for a private reception celebrating the start of the 2011 season. 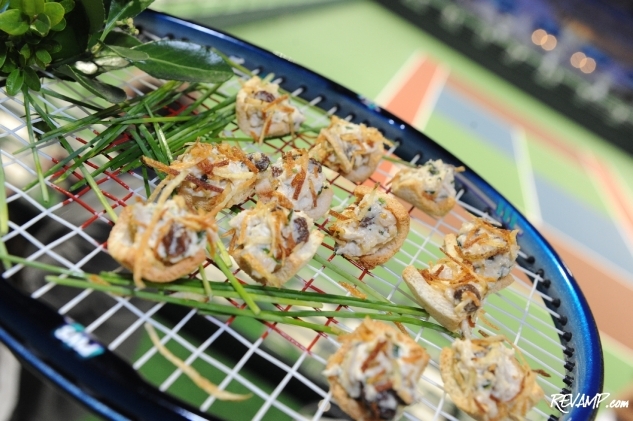 Cleverly titled �Wimbledon on the Water� � in a nod to the Wimbledon Grand Slam tournament currently underway in the suburbs of London � the relaxed affair invited friends and family of D.C.�s favorite tennis team to enjoy the hospitality of (and views from) the newly opened Kastles Stadium at The Wharf, while sipping on chilled specialty drinks, like the �Fever Fizz�, �District Lime�, and, of course, �Pimms Cup�. RepEquity Senior Account Executive Tiffany Carter, Kastles mascot �Topspin�, and Fashion for Paws Executive Director Tara de Nicolas. Washington Fine Properties� Ashley Taylor and Federal Home Company's Matt Bronczek. 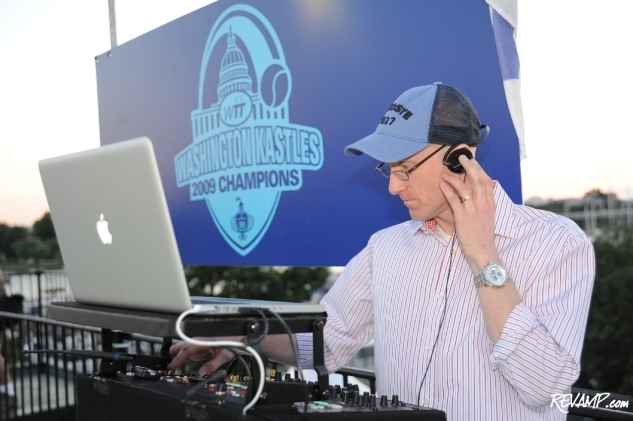 And enjoy it they did, with a live DJ delivering an energetic soundtrack throughout the night and plenty of both savory and sweet bites �served-up� � all with a fun tennis spin of some sort. In a nod to Ein�s deep hometown roots � he is the founder and CEO of D.C.-based Venturehouse Group, one of the area�s leading technology venture capital firms, as well as an active donor to numerous philanthropic causes � last night�s party attracted plenty of local notables. 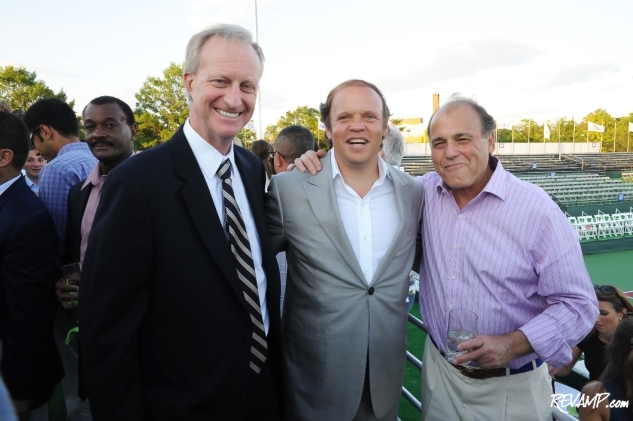 Councilmember Jack Evans, Kastles owner Mark Ein, and WTOP�s Mark Plotkin. Everyone from DC Council Chairman Kwame Brown to Councilmember Jack Evans to WUSA9 sports anchor Brett Haber to Comcast SportsNet�s Joe Beninati (the voice of the Washington Capitals) to WTOP political analyst Mark Plotkin stopped-by to offer their congratulations. 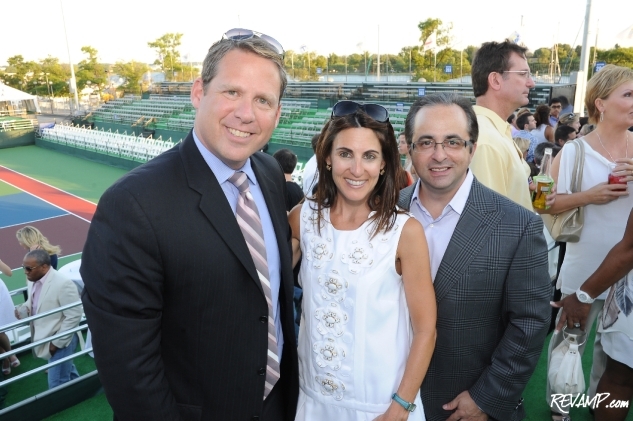 WUSA9 sports anchor Brett Haber, Qorvis Communications' Jennifer Haber, and Comcast SportsNet�s Joe Beninati. 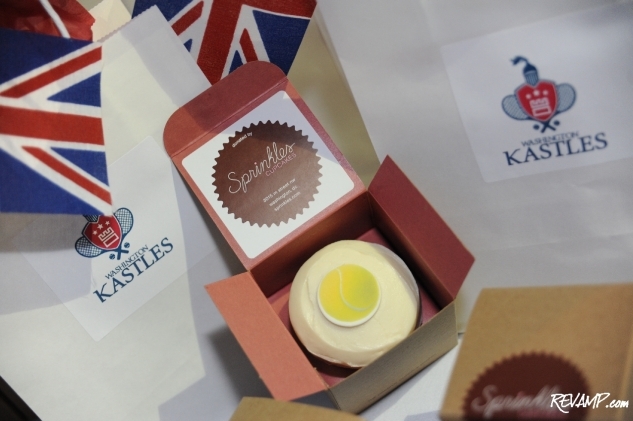 Clad in their finest summer chic dresses and �Wimbledon Whites�, guests had a chance to try their luck at the Kastles� �Serve It Up For Charity� station upon arrival. 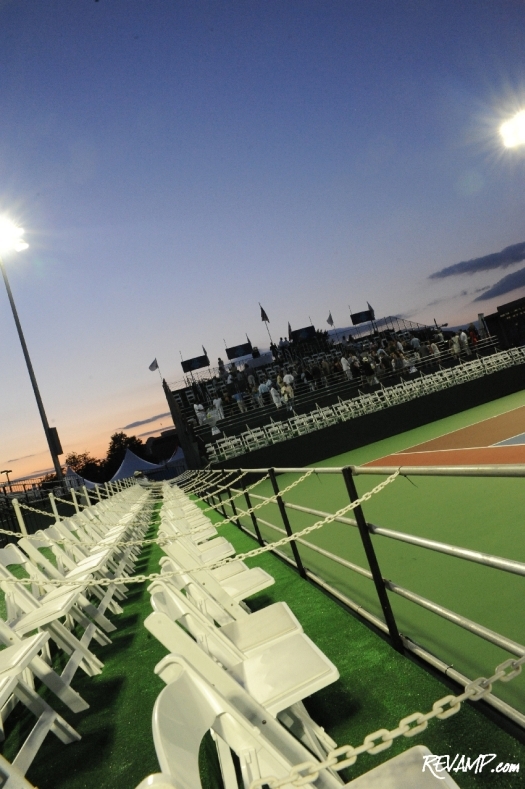 A fun �fast serve contest� that will offer participants the chance to win $1,000 cash prizes at all 2011 team home matches (Tuesday, July 5th through Monday, July 18th), each $5 donation benefits the Virginia Tennis Foundation and the Mid-Atlantic Tennis & Education Foundation. 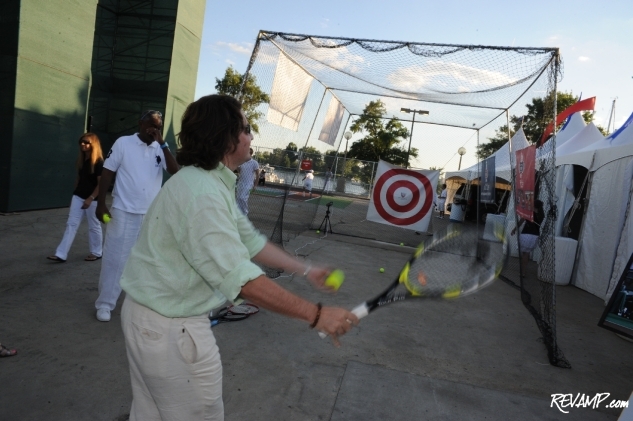 iStrategyLabs Founder and CEO Peter Corbett serves-up the heat for charity.